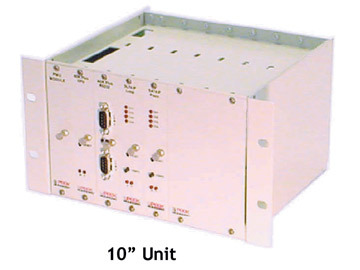 The basic unit provides a CPU module, a Power Management Unit (PMU) with a battery, an eight-input piezo sensor module, an eight-input loop sensor module, and a communications port with full 19,200 baud telemetry facilities. With the various options, the ADR-3000 Plus can count up to 64, or classify up to 32 lanes of traffic, including up to 24 WIM sensor inputs. Several exclusive features have been incorporated into the ADR-3000 Plus. The CPU electronics are fitted with a replaceable socket mounted fuse, protecting against an accidental power reversal, and subsequent damage. Front panel mounted LED's indicate a successful start up of the microprocessor by blinking twice during the boot cycle. LEDs also warn of system fault conditions and indicate the communications port activity and status. Additionally, a reset switch that is mounted on the front panel of the ADR-3000 Plus can be used to re-start the CPU. This provides an easy method of restarting a unit during diagnostics, similar to cycling power off and on.